I have a LOT of Shamballa bracelets…I just love them! However, I have to admit that I never really understood the meaning behind the bracelets. As the article below will explain, there is a very deep and profound meaning behind them. It was very interesting to learn so I thought I’d share that info with you. Buddhism is one of the largest religions in the world. It helps explain a purpose to life and a pathway to happiness. One of the many beliefs in Buddhism is Shamballa. Shamballa is the energy of unconditional love. 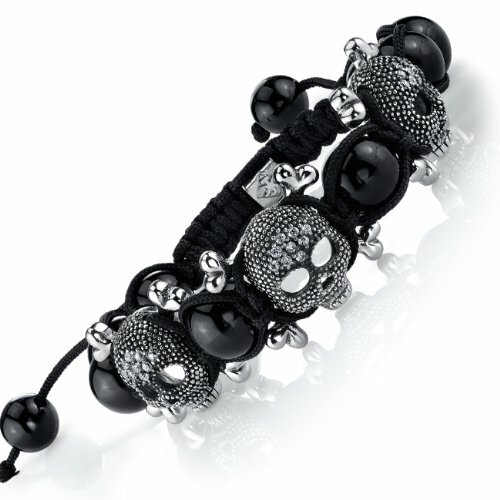 Shamballa brings absolute personal power, harmony, and freedom. It means living life with dignity and creativity. 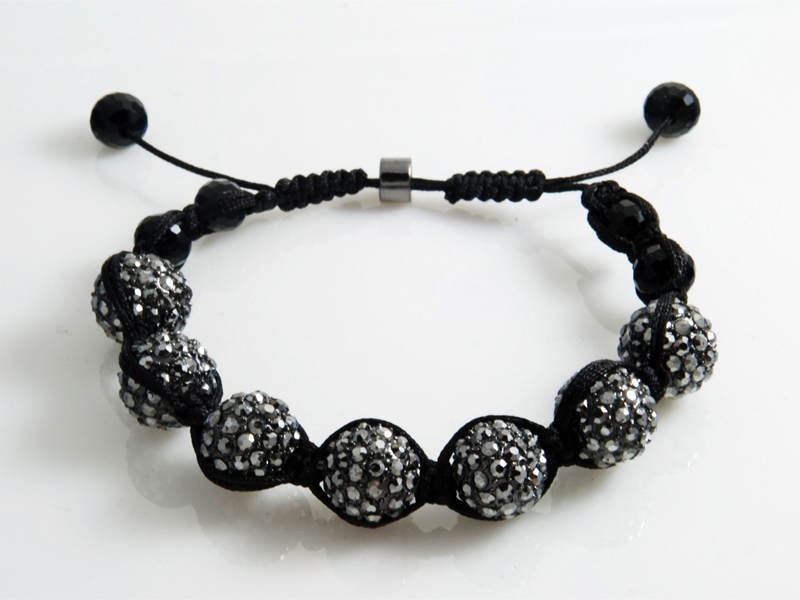 Shamballa also refers to a spiritual place, a city of perfection where all is love. In it the total energy is balance, harmony, and love. It is also the place and time where all rays of Creation Exist including the higher energies of the Ascended Masters. It has become known as a Buddhist Pure Land and is ruled by the Shamballa Kings, also known as Kalki Kings. The physical location of Shamballa is believed to be hidden somewhere in the snow peaks of the Himalayas. Shamballa encompasses all traditions and nothing is excluded. It has nothing to do with theism and can embrace other religions including Christianity and Judaism. The focus of Shamballa is also empowerment. About how we rule our world and help others by using the power of the human element and natural domain. With Shamballa you want to create and maintain a good world by becoming a sane, courageous individual living in the world. There are 4 levels of attunement to Shamballa. The first level focuses on self healing and the healing of others. The second level allows a person to mentally send healing messages long distances to people and places. The third level adds more symbols and allows a person to be stronger. The fourth level allows someone to help others with attunements. 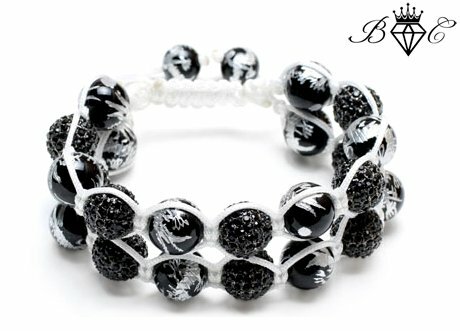 Shamballa bracelets are inspired by meditation and tradition. The designs for Shamballa bracelets incorporates Ancient Buddhism and Tibetan symbols. This includes the thunderbolt which symbolizes enlightenment; dragon which symbolizes the severance of material and worldly bonds. 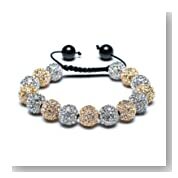 Shamballa bracelet designs, stones, gems, and metals are believed to have healing properties. 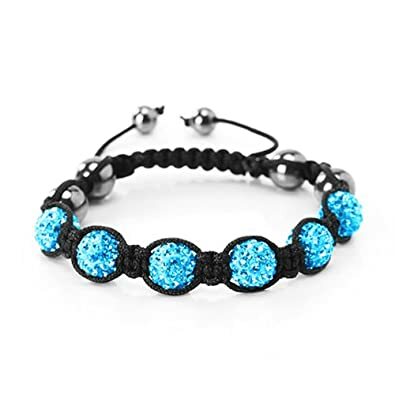 The color of the various stones used in making Shamballa bracelets have meaning as well: Light blue -tranquility, gold -bountiful beauty, silver/white -deep thoughts, gold and silver -the dream state, multi-colored -the unfocused mind, pink -eternal love, red -courage and bravery. 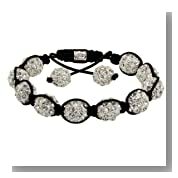 Because of the simple and chic design of Shamballa bracelets they have become a popular fashion accessory, especially among celebrities. So, while it is a popular fasion trend, it is important to remember that there’s a deeper meaning behind the Shamballa bracelet. The bracelet is connected to a deeper meaning and spirituality and can help a person improve their life. 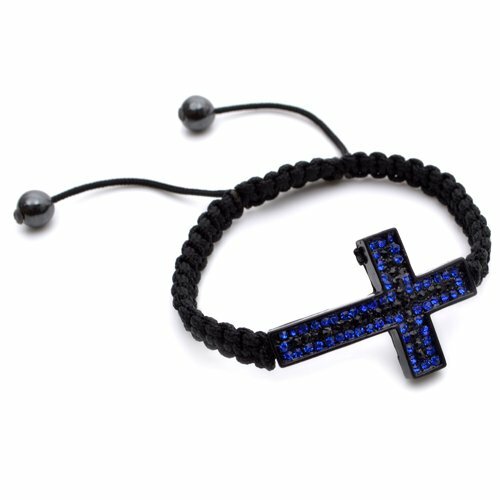 By wearing a Shamballa bracelet a person can try to capture a piece of their own paradise and love.